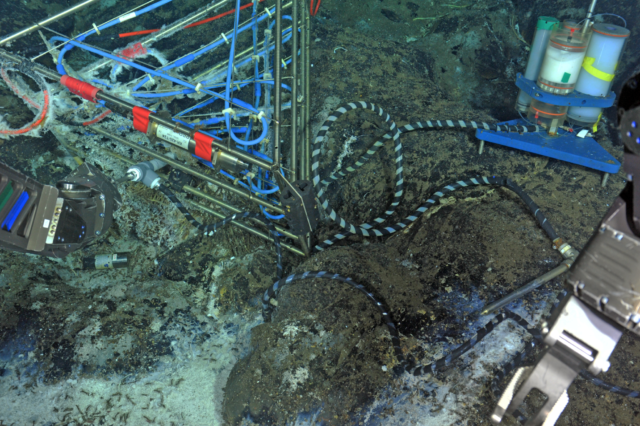 The Osmosis-Based Water Sampler provides long-term sampling of diffuse and/or pore fluids at the seabed by drawing those fluids into small-bore, capillary tubing. 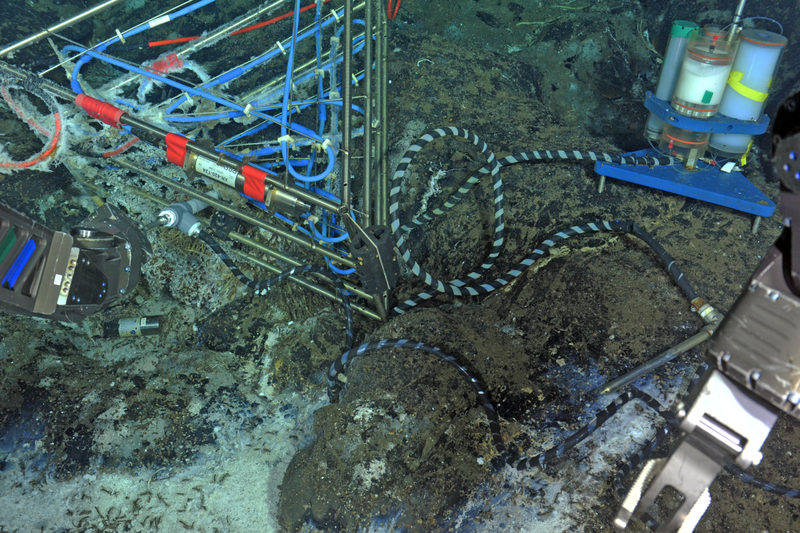 The instrument currently deployed at Southern Hydrate Ridge samples pore fluids associated with methane seeps, while the instrument at the ASHES vent field on Axial Seamount is collocated with the 3-D Temperature Array (TMPSF) and samples diffuse fluids associated with hydrothermal flow. After instrument recovery, laboratory analyses provide major/trace element chemistry of these fluid samples. The laboratory processed analytical data and metadata from the fluid samples can be found in the OOI Core Instrument Analytical Results data repository. 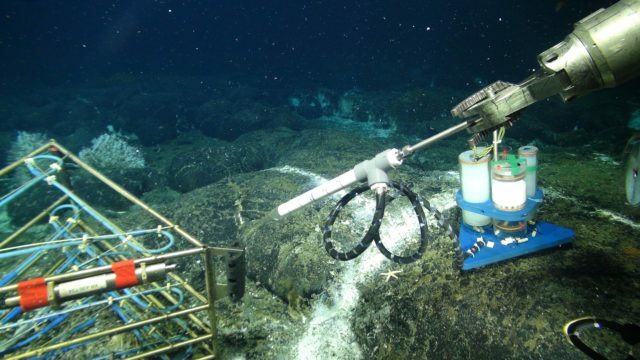 A new osmotic fluid sampler being installed in a diffuse flow site hosting a 3D temperature array in the ASHES Hydrothermal Field on the summit of Axial Seamount. Onshore analyses of the entrapped fluids provide insights on the evolution of fluid chemistry in time, in response to changing environmental conditions e.g. earthquakes, temperature, microbial utilization of gases and different elements. Credit: UW/NSF-OOI/WHOI; V16.